One of my challenges for the year is to cook at least 6 new dishes. This is not too difficult to accomplish since I’m always trying something new, but here are three of my most recent experiments. Three more to go! 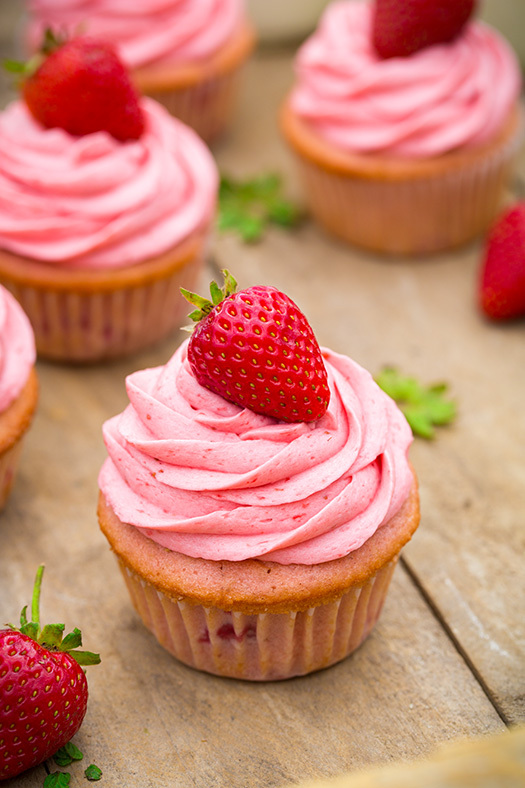 Strawberry Cupcakes with Strawberry Buttercream Frosting OH MY GOODNESS!!! Do NOT make these cupcakes because if you do, I will come to your house and eat them ALL! The frosting alone is absolutely delicious and worthy of any cake. The cupcakes were quite tasty. And together, they are a deadly duo. Gyros with Greek Chicken Everyone said it was delicious! Even the pickiest of the kids ate it (without the sauce). This is a simple meal, but it requires quite a bit of prep work. So if I make it again, I will probably cut up everything the night before (or earlier in the day) and then cook the chicken at dinner time. I cooked the chicken under the broiler since we don’t have a grill at the moment. I didn’t make the pita bread for this dish, but even with the store bought bread, it was delicious. I can’t paste an image here from the website, but everything was fairly simple for this meal. Served it with green beans and mashed potatoes. And WOW…the kids devoured it. I made my “secret weapon” mashed potatoes. I boil the potatoes with diced onions and some garlic and then mash them all up together and use Greek yogurt in place of the butter and some of the milk. Salt/Pepper to taste. Good stuff! All of these sound mouth-watering–I just might have to try them! Look at you, kickin’ your bucket list’s tail!